FOB Live recognise that each project is a very personal journey for each client. We aim deliver fully considered, functional and flexible design solutions, on time and on budget. 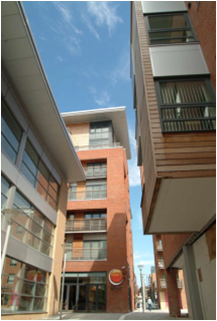 We cover every residential sector from New & Re-modelled Dwellings, Bespoke Housing to Key Worker/Student Accommodation, Secure/ Care Facilities, Leisure Resorts, all standards of Hotels and Luxury Apartment Developments. FOB have worked for private clients, one-off specialist developers through to Government Agencies, National House Builders and Commercial Residential providers including Developers & Charities. All of our designs seek to exploit the potential of their individual sites, whether it be making the most of the orientation, maximising natural light or perhaps through the use of new technologies, materials and landscape. Our approach is all about the client and designer ”Working Together’ to achieve the most appropriate solutions. The services we offer are devised specifically to suit each client, budget and location. We are able to offer a comprehensive package of architectural and interior design solutions, ranging from feasibility, scheme design and planning, to detailed design and delivery. FOB Live are currently engaged on a wide range of residential schemes including, Secure Facilities, Luxury Leisure Developments, Hotels, new-build dwellings, Listed Buildings, Conservation Areas, re-modelling and expansion projects.